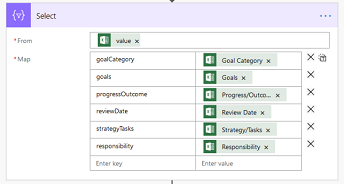 Scott Hanselman shared a process on his blog to export JSON data from an Excel file. However, Natraj Yegnaraman, writing in Dreaming in CRM, drew inspiration from the first process but opted for a codeless alternative using Flow. Drawing inspiration from a question on the Dynamics Community forum about updating expense estimates in Dynamics 365 Project Service Automation (PSA), Antti Pajunen shared a Flow-based approach on his Day to Day Dynamics 365 blog.